Brendan's Compendium: Unable to start debugging on the web server. Unable to connect to the web server. Verify that the web server is running and that incoming HTTP requests are not blocked by a firewall. HTTP requests are not blocked by a firewall. 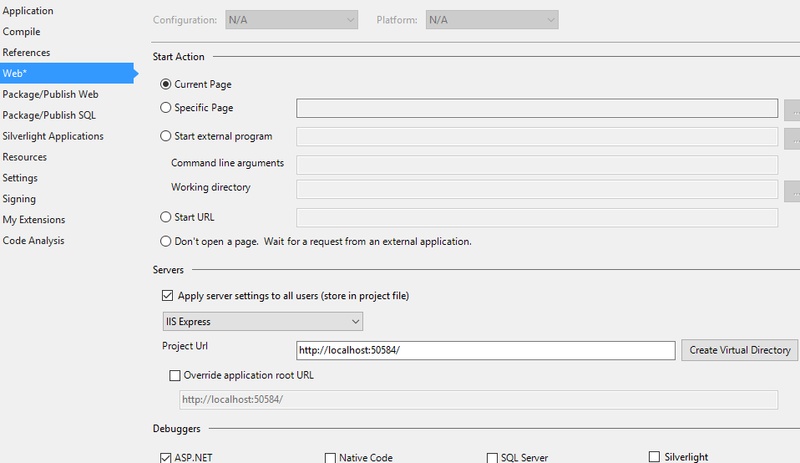 Change the project's Web settings to "IIS Express" instead of "External Host". This is under "Web" under the "Servers" section. Visual Studio should automatically fill in the Project Url. 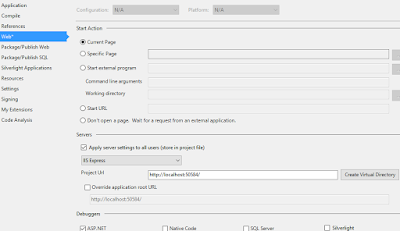 When a project's Web settings are set to an external server, Visual Studio will try to connect to that server to debug the project. This would be used if you were running IIS (not IIS Express) on your local machine and wanted Visual Studio to debug the app running on IIS.